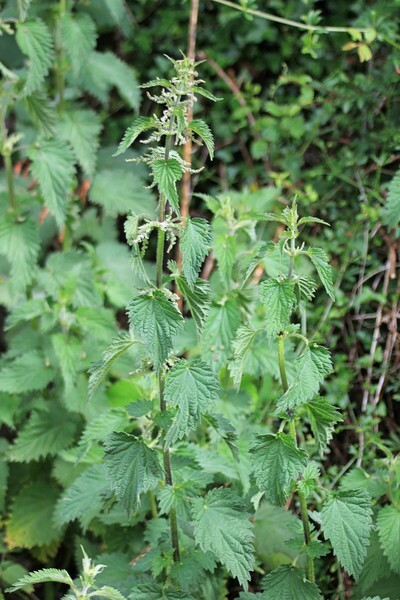 Stinging nettles can cause a stinging-itching reaction if you touch the plant. However, when cooked, the stinging chemicals are removed and they taste like spinach (they are rich in Vitamins A and C). There is a subspecies of Stinging Nettle native to Western North America. I've seen them growing near Doane Pond on Mt. Palomar in N. San Diego County and they look exactly like the Nettles here in Wales.